Zeinabu Irene Davis is a director and producer who has received numerous awards for her work with film and video. Born in 1961 in Philadelphia, she received a M.A. in African Studies in 1985 at UCLA, where she also earned her M.F.A. in Film and Television production in 1989. 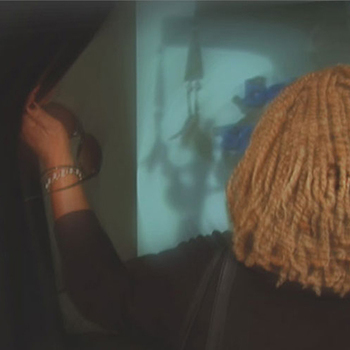 She has received acclaim for her representation of the African American female perspective through a variety of works, which include documentaries, short narratives and experimental films. 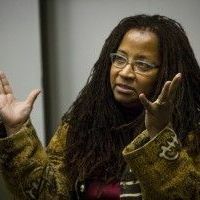 Davis directed the film Cycles (1989), an experimental short which earned her an awards from the Black Filmmakers Hall of Fame and the National Black Programming Consortium. Her following works, A Period Piece (1991), A Powerful Thang (1991), Mother of a River (1995) and Compensation (1999) continued to garner her awards from numerous organizations and festivals, including the Gordan Parks Award for Best Director from the Independent Feature Project. Her latest project, Spirits of Rebellion (2011), is a documentary work-in-progress which gathers fellow L.A. Rebellion filmmakers and explores topics in African American film. Davis has been awarded grants and fellowships from the Rockefeller Foundation, the American Film Institute and the National Endowment for the Arts for her film work. After holding teaching positions at Antioch College and Northwestern University, Davis moved to teach at UC San Diego, where she currently serves as Professor of Communications. In solidarity and dialogue with her fellow L.A. Rebellion filmmakers, Zeinabu irene Davis convenes the group of artists brought together by the UCLA film program—including notable directors Julie Dash (Daughters of the Dust) and Charles Burnett (Killer of Sheep)—to recall their experiences and historicize their legacy on film and far beyond. Screening followed by conversation with Davis, University of Chicago film scholar Allyson Nadia Field, and Cinema 53 curator Jacqueline Stewart.